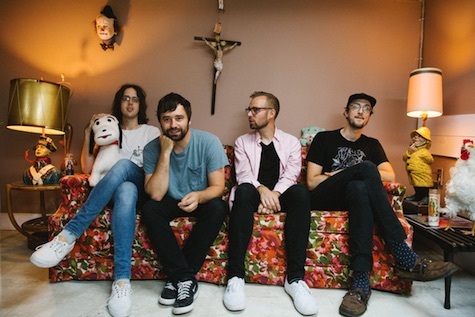 Cloud Nothings plays at The Waiting Room Tuesday, Nov. 13. 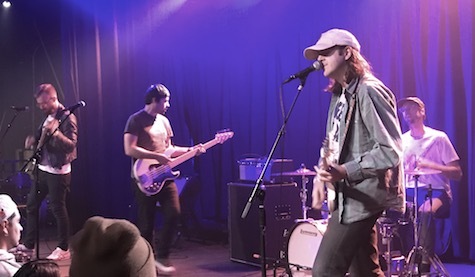 Cleveland’s Cloud Nothings began as singer/songwriter/frontman Dylan Baldi’s secret basement project that caught fire in a big way, resulting in a record deal with rising indie label Carpark Records (Speedy Ortiz, TEEN, Dan Deacon). 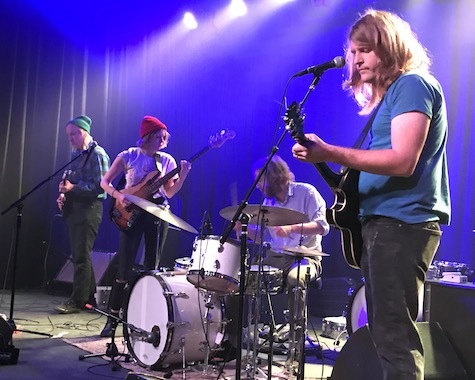 Through the course of their five-album career spanning back to their self-titled 2011 debut, the project has worked with some of the hottest producers in the business including Steve Albini, John Congleton and John Goodmanson. For their latest, Last Building Burning (2018, Carpark), the band worked with metal producer Randall Dunn (Sunn O))), Myrkur, Black Mountain). 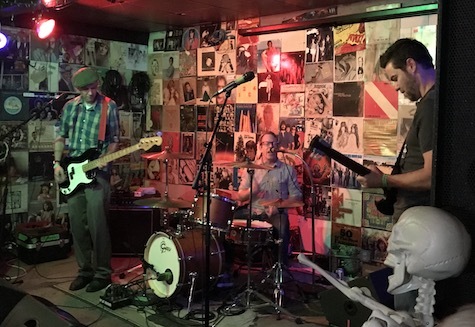 The result is a bracingly sharp turn from the melodic indie rock of 2017’s Life Without Sound; a move toward hard, fast, punk wherein Baldi’s croon had devolved into a sneering, angry, agitated bark that cuts through a wall of shrieking guitars. Intense. 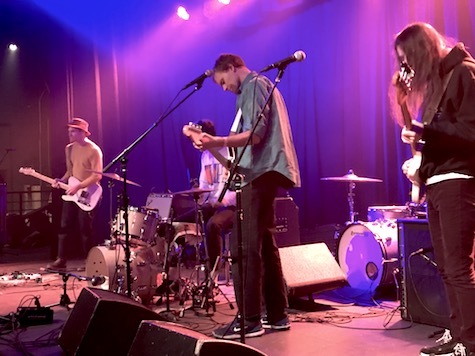 Cloud Nothing’s Dylan Baldi: It feels reductive to choose a single favorite album of all time. Favorite album of 2018 so far is Rose Mercie’s self-titled. Wild Raincoats/Electrelane-sounding hybrid out of Paris, France…very cool band. Honestly there are so many bad songs. Most songs are bad. How can a person pick just one? I like the feeling of actually creating energy. Like when a song is at its peak there can be an actual, almost tangible energy created. Pursuing that energy is the whole reason I play music, it feels good to hit those highs. I hate waiting for our records to come out. I wish there was a way for vinyl to come into existence the second we finished recording. But unfortunately major labels are clogging the vinyl pressing plants with deluxe Rolling Stones reissues or something so we have to wait four months for our puny little records. I like playing anywhere that has good food. There are lots of places with good food. Even better is when the venue gives you dinner. That is the apex of luxury to me. Chicago seems to have an inordinate amount of venues that also feed you delicious food. I’ll say Chicago. We played a show in Singapore a few years ago that stands out. Our drummer and I missed our flight from Cleveland because we were buying Naked Juices at the bagel store in the airport, so we ended up getting to Singapore like an hour before we were supposed to play. Then during the jetlagged fever dream of a show all the mics and drum hardware kept falling over, and the soundpeople just pointed and laughed and didn’t fix anything. Then we got a beer near the venue to pretend the show didn’t happen, and the beer turned out to cost $40. Singapore was hard for us. Yeah we’ve been strictly musicians for about six years now. It’s the biggest luxury. Gives me lots of time to make sure I’m making the best music I can. It took us three years of touring and working together for basically zero dollars. But luckily it resulted in an album that people liked in 2012, so since then we’ve been doing okay. I would like to be a librarian. I feel like the library science must have lots of layers that I wouldn’t understand unless I went through school to learn it all. And I like books. I would hate to do anything where I have to be alone for a long period of time. I like being around people. We have lots of friends in Omaha, and my girlfriend made a record here with Mike Mogis. She loves it here. We’ve never been, I’m looking forward to it!